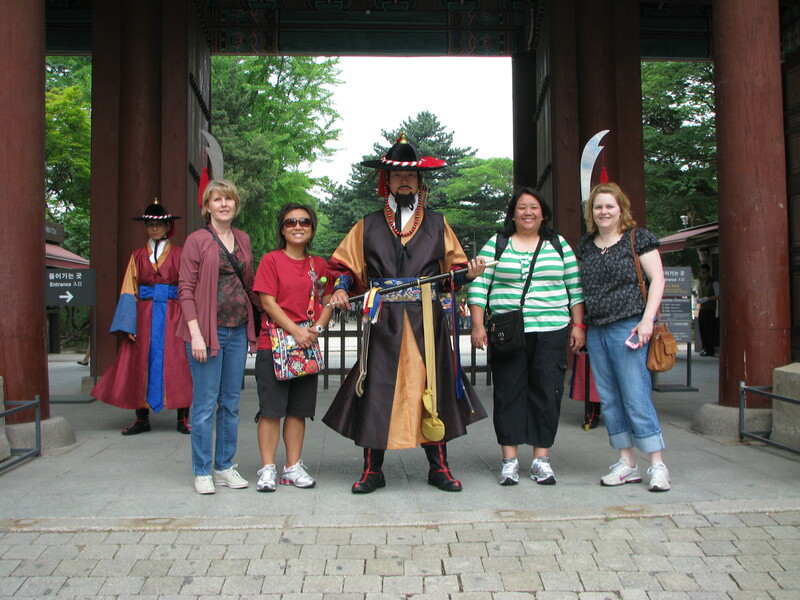 Visiting South Korea after almost 40 years brought surprises. Some things were familiar, others not. It changed and it didn’t change. Yes, I was astounded at so many new developments. Tall sky scrapers, wide highways, iphones and bottled water, modern restaurants and hotels, E Marts, shopping malls, clean market places, and a subway system to beat New York’s. And, of course, thousands of fashionable college-bound young people representing the future roamed the streets at midnight. But the old, the ancient way of life that has been there for thousands of years, still exists. 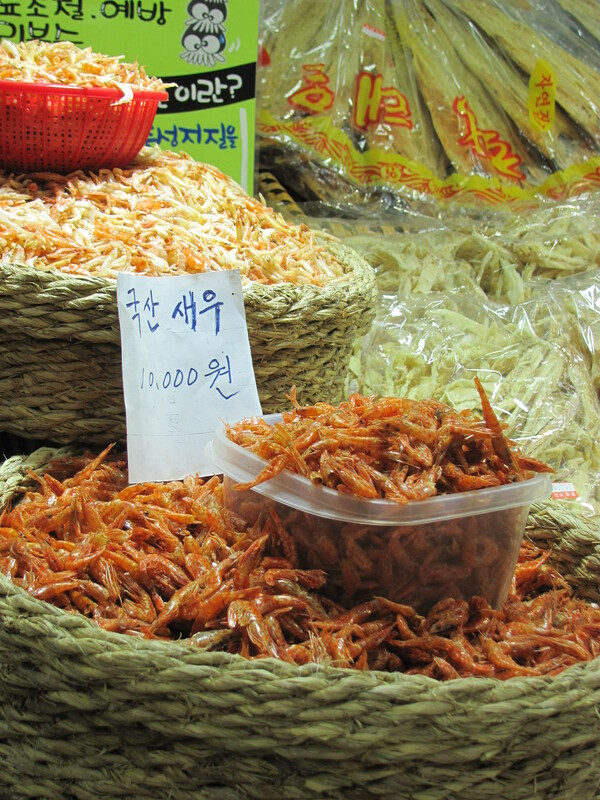 That’s the part I remember, the culture I hold dear, like the rice paddies flooding the valleys while shrines grace the hillsides, the sight of flounders and squid at the open fish market, Hangul or Korean-lettered signs up and down the narrow streets, umbrellas flashing like rainbows, older generation men wearing traditional baggy pajis or pants. 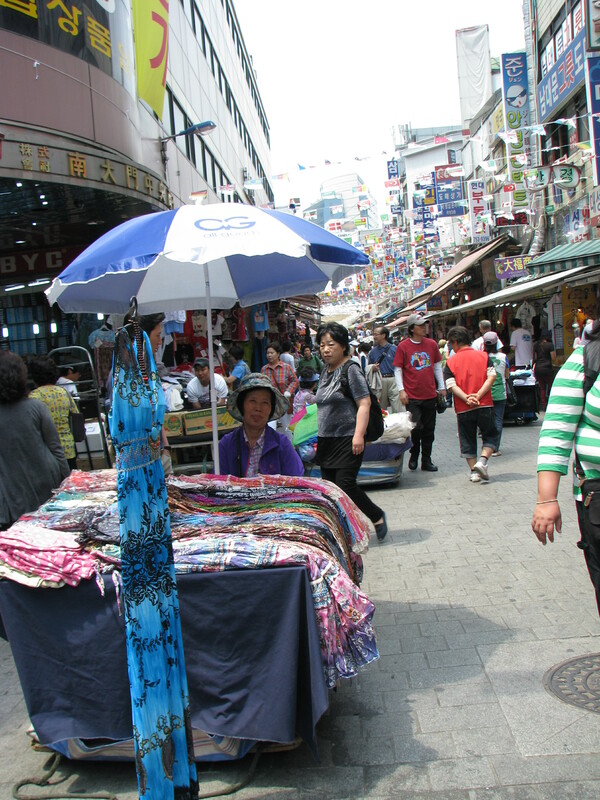 We visited three markets, Namdaemun, Dongdaemun, and Insadong in two days. We could have spent much longer at each one. And the food! 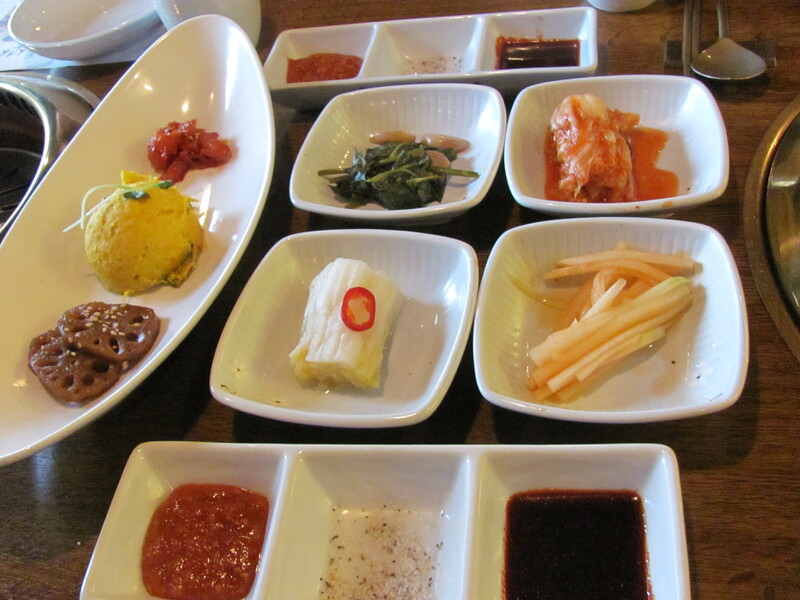 The delicious food still entices me to overeat! Kimchi! Yes, I can eat my share of the spicy fermented napa cabbage, along with easier foods like bulgogi, chop chae, and kimbops. Do try. 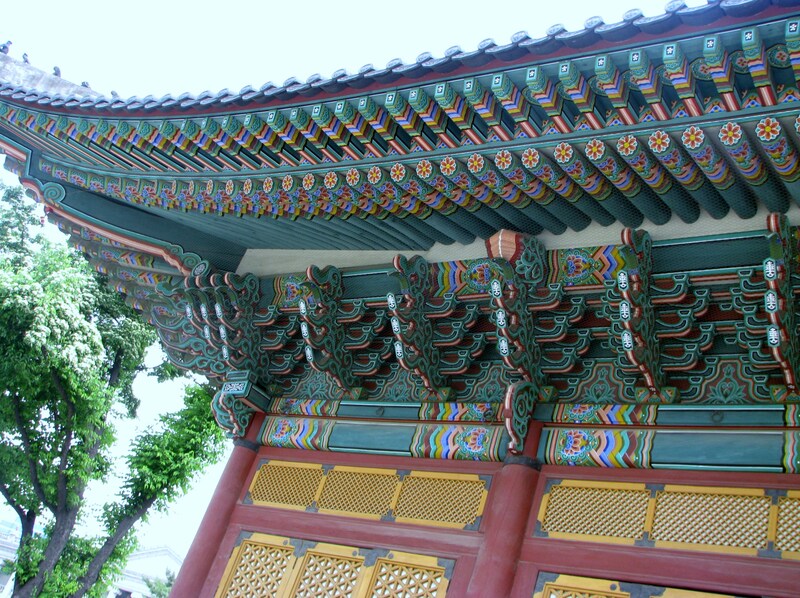 Temples of historical dynasties represent a colorful past, like the one we visited, Deosku Palace of the Joseun Dynasty, which was right in the middle of Seoul. We timed it right and watched the changing of the guard. One evening we ate dinner on Yeouido Island, and saw the Han River at night. What a gorgeous place. We visited a traditional Buddha Temple, but worshipped in the English service of a Christian church. We enjoyed it all, especially the kind and helpful people who live there! 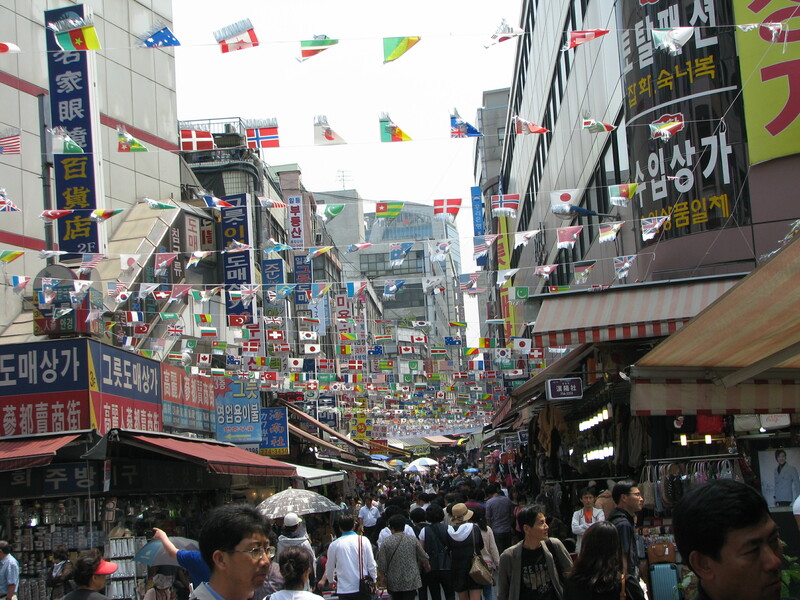 This dichotomy of cultures only touches the sights and sounds of Seoul, South Korea – definitely worth another visit!